Al-Waha Flavored Tobacco is used by novice and experienced Hookah users because of its smooth and consistent smoking experience. 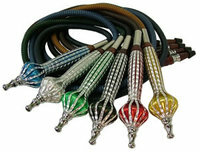 The Al-Waha 250 gram jars allow for Hookah users to smoke several times a month or with larger groups. Package Deal: To qualify for the package discount, you must purchase a minimum of three jars per desired flavor.